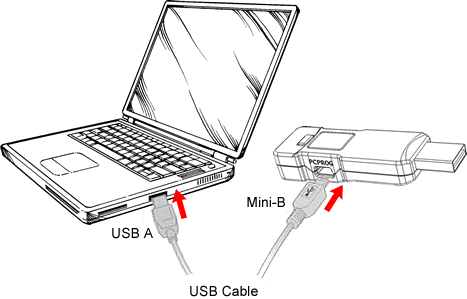 Connecting the PC PROG to your computer. The PC PROG port is the communication interface between Gtuner software and the Titan One device. It is used for programming, monitoring, testing and debugging GPC scripts, as well as for firmware update, device settings and API. The Titan One device utilizes a generic HID protocol for USB communication through the PC Prog port. When the device is plugged for the first time the operational system will automatically install the drivers for it.